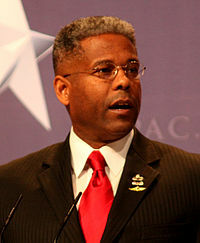 Why would Allen West be left vulnerable in Florida? This rising star within our party finds himself having to prepare for an onslaught from the Democrats without support from the establishment. The same guy who maneuvered Allen West's possible removal by redistricting, is Mitt Romney's Florida spokesperson. Makes you wonder how we are ever going to build a modern, conservative majority if the establishment keeps trying to purge our Tea Party brothers in arms versus finding ways to work together.